Lunch: Pizza dough with quarter of a can of spaghetti. Dinner: Spiral pasta (50g) with frozen vegetables (50g). One glass of budget cola (250ml). If every day was like today: I’d lose 8kg over 5 weeks. Today was a bit harder. I really started to feel the hunger about 2pm. I also started to really feel the effects of not eating as much as I usually would in regards to energy levels. I just felt completely flat today. Also I’m really starting to crave sushi. And yoghurt. The problem is that I gave all the packets of chips and chocolate biscuits to my sister to store at her place so they wouldn’t tempt me, but I didn’t thing to give her the pottles of yoghurt in my fridge as well. Reflection – Won’t you be my neighbour? This episode starts when “an expert of the Law [of Moses]” (i.e. a religious expert) asks Jesus what he must do to inherit eternal life. So Jesus turns the question back on him and asks him what is written in the Law. The expert replies correctly by quoting Deuteronomy 6:5 and Leviticus 19:18 – Love God with all your being and love your neighbour. So Jesus tells a story of a Jewish man going down from Jerusalem to Jericho, a treacherous road infamous for bandit attacks. The man (unsurprisingly) ends up being mugged, beaten half to death, and left naked. A Jewish priest walks by and does nothing. Second a Levite (another holy man) walks by and also does nothing. Finally, a Samaritan arrives on the scene. Now it’s a shame that the word Samaritan is a positive word associated with helpfulness because that certainly isn’t the case within Jesus’ context. The Samaritans were Jews who had mixed with other races and breed with them. The Jews and the Samaritans really did not like each other. Think of them as the first century equivalent of the Bloods and the Crips. But instead of walking by, the Samaritan takes pity on the man and uses his own supplies to tend to his wounds. He then drops him off at a local inn, pays for it out of his own pocket and offers to pay more the next time he’s in town if the bill comes to be higher. The expert knows what the implications are. The Samaritan, the half-bred the Jews looked down upon, was following the Law of Moses better than the so-called pious Jewish leaders. 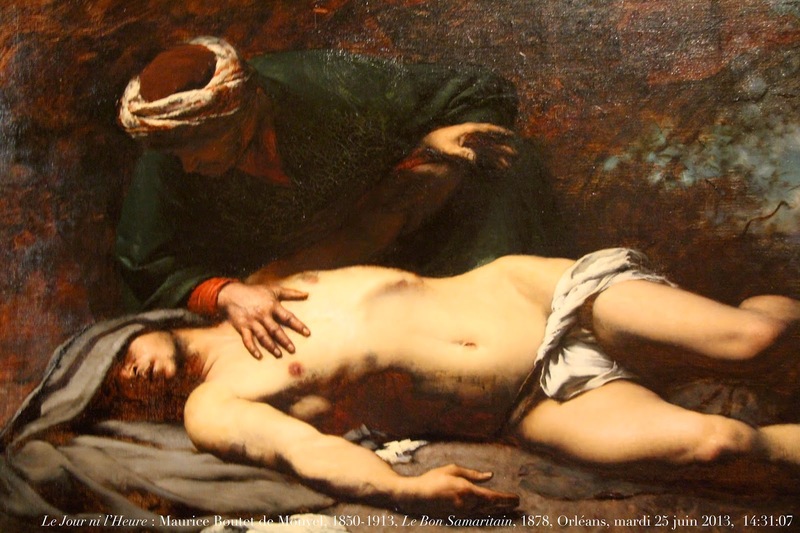 The expert admits that it was “the one who took pity on him” (notice how he can’t bring himself to say “the Samaritan”). Now it’s easy for us to look at the story and condemn the Jews and the Samaritans for their bigotry towards each other. After-all, the Samaritans were essentially just Jews who believed in inter-racial marriage! But Rev. Stephen Sizer brings up a really good point about the story: the fact that the man was naked and unconscious isn’t incidental. These details form a dilemma for all who came across the beaten man: without being able to judge from his dress or accent they can’t tell whether he was one of “us” or one of “them”. The man lying on the road is a human being! Now this should give make us pause for thought: In what ways do we, personally, judge people as being unworthy of our love? Jesus was clever like that.